Here are 12 smart dietary changes to make this year. Did you make a New Year’s resolution to eat a heart-healthier diet this year? We hope so. It means you will eat foods that are lower in saturated fat and salt and higher in soluble fiber and heart-friendly nutrients than the average American diet. Because changing old habits is hard, we asked certified chef and nutrition educator Dr. Michelle Hauser, an internal medicine fellow at Harvard-associated Cambridge Health Alliance, to provide one change you can make each month. (Too bad she doesn’t work for the fast food conglomerates). If you try them all, by the end of 2013, you’ll have made substantial progress toward improving your cardiovascular health. You’ll also discover a world of foods that taste so good you’ll never go back to eating the same old way again. One night a week, serve a broth-based soup loaded with vegetables and beans before your main course, or instead of it. You’ll find you are satisfied with fewer calories and less saturated fat. Your heart will love the cholesterol-lowering fiber in the beans and the nutrients in the vegetables. Hint: Steer clear of cream soups, which are high in fat and calories. Start eating old-fashioned oatmeal—or, even better, steel-cut oats—for breakfast. Oatmeal is high in soluble fiber that helps remove harmful LDL cholesterol from the body. Top your oatmeal with bananas, fresh or frozen blueberries, raisins, walnuts, or pecans. To save time, make a large batch of oatmeal, refrigerate it, and reheat individual portions throughout the week. Hint: To reduce the cooking time of steel-cut oats, add the oats to boiling water, remove the pot from the stove, and cover it with a lid before you go to bed. In the morning, bring the pot to a boil and cook for 15 minutes. Switch from white or light bread to whole-grain or multigrain bread. Whole grains contain protein, fiber, healthy fats, and nutrients that are lost in the process of making white bread. They also have a gentler impact on blood sugar, which makes you feel full longer and helps prevent fatigue—which can tempt you to overeat. Hint: Store whole grains and whole-grain breads in the freezer, unless you use them quickly. Slice the bread before freezing and thaw each slice for 10 to 20 seconds in the microwave as needed. Replace the butter you use for cooking with olive, canola, or other vegetable oil. 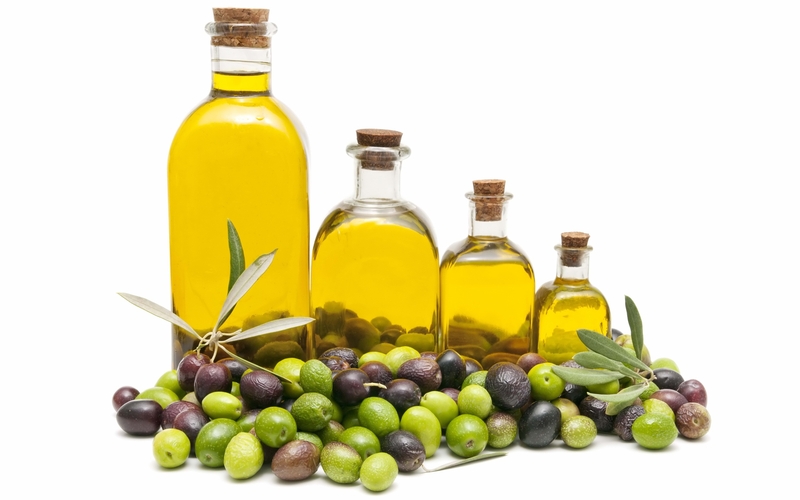 Oils are delicious and low in artery-clogging saturated fats. The monounsaturated and polyunsaturated fatty acids they contain can help decrease harmful LDL cholesterol and increase beneficial HDL cholesterol. This reduces your risk of heart attack. Hint: For a bread spread, blend equal parts of butter and olive oil. Or purchase a blend made with vegetable oil and nonfat yogurt, such as Brummel and Brown, or make the combination yourself. As the weather gets warmer, lighter meals taste better. Replace meat with fish twice a week. Salmon is particularly healthy, because it is loaded with omega-3 fatty acids, which reduce inflammation, lower blood pressure and triglycerides, improve blood vessel function, and help prevent potentially fatal abnormal heart rhythms. Hint: Poach a salmon in barely simmering liquid, then chill it in the refrigerator and serve it cold with a sauce made of yogurt, fresh dill, and lemon juice. Alternatively, break out the grill and cook skin-on fillets over a medium heat. Add fresh fruits to your breakfast plate. Try a different color every week: blue and purple (blueberries, blackberries, plums), red (raspberries, strawberries, pomegranate, watermelon), yellow (bananas, pineapple, star fruit), and orange (clementines, melons, peaches, papaya, nectarines). The different colors signify specific phytochemicals and nutrients, many of which are powerful antioxidants that help lower inflammation, a major risk factor for heart disease. Hint: If fresh fruit isn’t available or is too costly, switch to frozen. Ice cream is high in saturated fat, so reserve a small serving as an occasional treat. For a heart-healthier dessert, enjoy an ounce of dark chocolate. Studies have shown that eating 1 ounce of dark chocolate per day reduces blood pressure, helps prevent strokes and heart attacks, and improves memory, among other things. Hint: Choose chocolate with a cocoa content of 70% or higher. The tomatoes are ripe, so eat a tomato every day. Tomatoes are loaded with vitamins and minerals like vitamin C and potassium, both of which help keep blood vessels healthy. Hint: Add sliced tomatoes to sandwiches, eat them like apples, add them to salads, blend them into salsas, or cook them into sauces. G o ahead and grill an all-beef hamburger on Labor Day. If you enjoy red meat, try to save it for special days or serve it sparingly. As you start to crave fall foods such as chili, casseroles, pasta with meat sauce, and lasagna, try making them with ground soy or ground turkey instead of ground beef. You won’t notice the difference, but your heart and blood vessels will appreciate the lack of saturated fat and cholesterol. Can’t find ground soy? Use mushrooms instead. In fact, portabellas are a fat-free alternative to beef and have a meaty taste when grilled or browned in a pan over high heat. Hint: Enjoy beef sparingly by slicing grilled steak over a plate of fresh greens. Munch on nuts instead of chips while you are watching sports on television. Almonds and walnuts are particularly heart-friendly. Nuts contain the hunger-control trinity: fat, fiber, and protein. Fats signal your brain that you’re full. Fiber makes you feel full right away. Protein helps keep you feeling satisfied for a longer period of time than sugar or carbohydrates do. Hint: Portion nuts into small bowls or baggies to prevent overeating: each quarter-cup of nuts contains 200 calories. Whenever you are tempted to serve potatoes or rice, substitute roasted vegetables instead. The array of nutrients found in vegetables helps lower blood pressure and reduce the risk of heart disease, stroke, and some types of cancers. Take cauliflower, Brussels sprouts, turnips, rutabagas, beets, zucchini, yellow squash, or asparagus, toss the pieces in olive oil, sprinkle them with pepper and a salt-free seasoning blend, and roast them on a cookie sheet at 450� F until their edges begin to brown. Hint: Take advantage of sales to stock up on frozen vegetables and add them to soups, stews, or your dinner plate. When baking for the holidays, replace half the all-purpose flour in your recipes with whole-wheat pastry flour.�This type of flour is not as heavy as earlier forms of whole-wheat flour.�No one will be able to tell the difference, but the addition of whole grains will make your treats better for you. Eating a diet rich in whole grains reduces your risk of cardiovascular disease by lowering insulin levels, triglycerides, total cholesterol, and LDL cholesterol. The Harvard Nurses’ Health Study found that women who eat two to three servings of whole grains per day had a 30% lower chance of dying from cardiovascular disease. Hint: In quick breads (think banana bread), cookies, waffles, pancakes, and many regular cakes, replace one egg with one tablespoon of ground flaxseed stirred into two tablespoons of boiling water and left to rest for a couple minutes. To the dry part of the mix, add � teaspoon baking powder for each egg replaced.